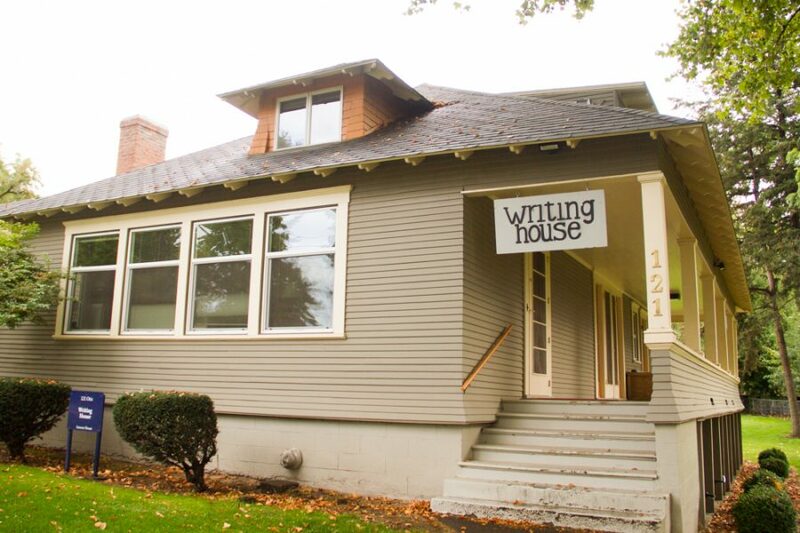 The Writing Interest House helps encourage student creativity, silliness with its monthly writing events. 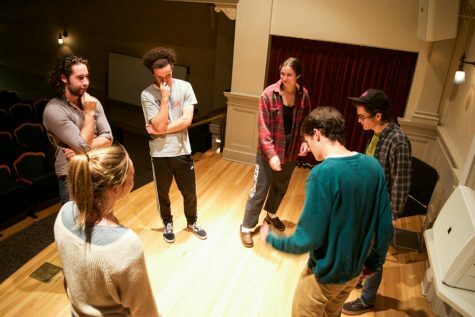 The heat was on this past Sept. 29, when the denizens of the Writing Interest House invited Whitman students to attend their Haiku Death Match. 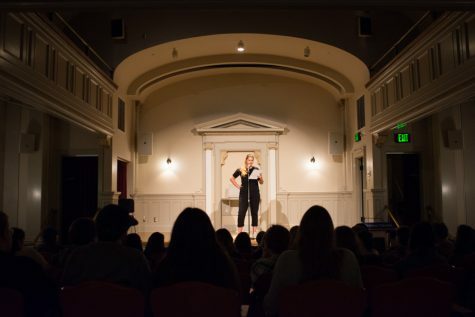 Visitors and residents alike were challenged to craft a sharp, witty haiku in 60 seconds, based on prompts that could vary from “flashlights” to “hickeys” and anything in between. Competitors, upon entering, found themselves placed into brackets where they each faced off against a competitor who wrote on the same topic. After a vote taken from the others in the room, the winners advanced to the next bracket and the ultimate victors walked away with small prizes and acknowledgment of their mad haiku skills. 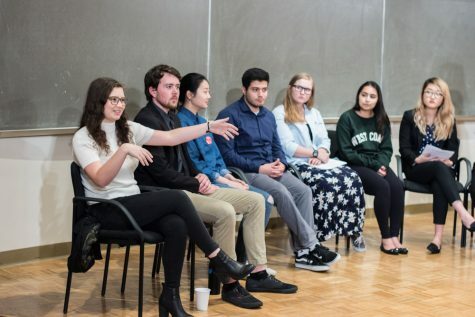 Each month, the House comes up with a short, informal program for students around campus to participate in, which involve snacks, building community and most importantly, writing. “Haiku Death Match” follows in the footsteps of events like “Limerick Highlander” and “Alice in Wonderland Croquet,” among others. Haikus in particular, are well-liked within the Writing House as resident Eloise Coutret noted. That light-heartedness was clearly apparent throughout the competition itself. The haikus were written with neither the space nor time for professionalism, skewed on the silly side, with the verses containing flashlights blinding people’s faces, a myriad of different pratfalls and liberal use of amusing profanities. The result was a spirit of good fun and merriment. Colleen Boken, one of the event’s attendees, was pleased with how the Death Match played out. Boken also noted that they would “of course” be willing to attend another Writing House event. “I’ll make time for events like this, cause I’ll be like, ‘Yeah, that’s fun! '” Boken said. Coutret was also satisfied with the Death Match, noting that events like it help raise awareness of the House itself, which is located somewhat far away from other houses in the Interest House Community and from campus itself. “[H]aving people come out and get to know us and the house, and us being able to get to know them, and […] write some hella haikus … I think that’s really great,” Coutret said. Meabe agreed with the sentiment of building community with the rest of campus. He also observed that the competition in events like the Death Match helps encourage students to step out of their comfort zones, challenging them in both honing their writing skills and handling different kinds of subject matter–even if the writing and subjects can be rather silly. The most fun aspect of the Death Match for him, though, was simply the event itself. For those interested in checking out the Writing House in the short term, the House hosts Poetry Club from 7:30 p.m. to 8:30 p.m. every Tuesday. In the meantime, the Writing House will soon begin crafting their program for October, one that will surely be as dynamic and stimulating as the Haiku Death Match.